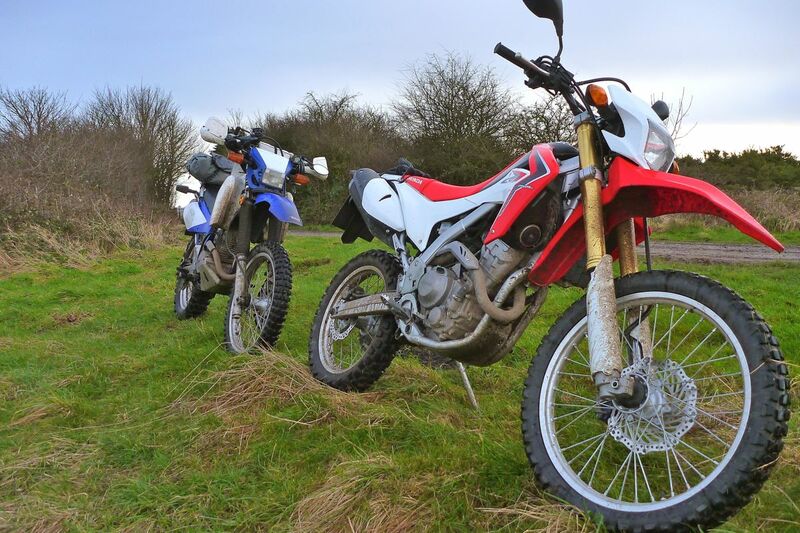 Since it came out in 2012 Honda’s CRF250L has been hailed as the long-lost return of the humble trail bike; a light, road-geared, do-it-all, low-spec dual sport being sold for a great price. For me, eyeing up a modern bike for some planned desert tours, the latest CRF seemed to tick the boxes. 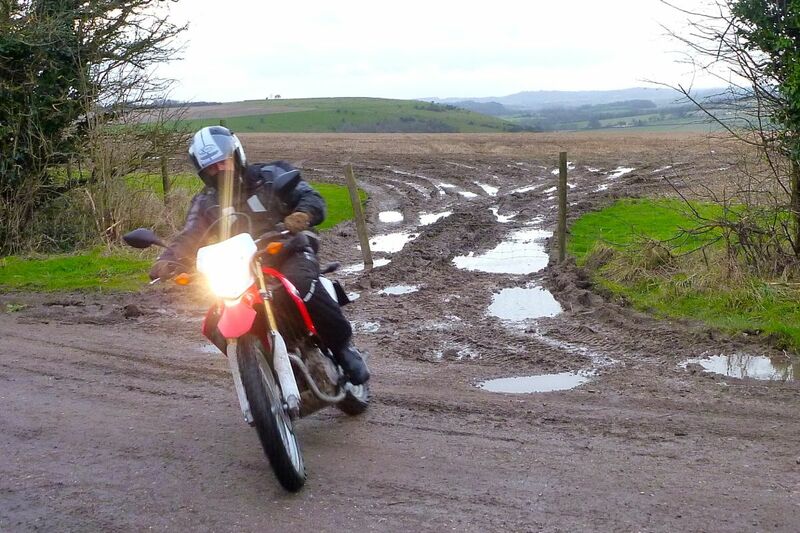 Apart from an old XR400, nothing else – DR, WR, KLX – seemed to inspire. 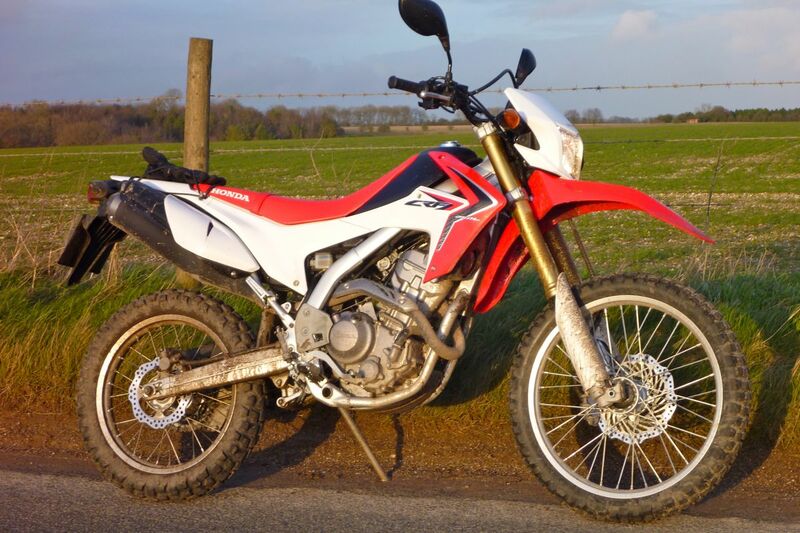 It’s no coincidence that a CRF250L could be easily mistaken for a detuned ‘street’ version of the alloy-framed, 115-kilo, 32-hp, CRF250X or -250R dirt racers. An adapted X was used in the recent Skyfall and Bourne movies (left), something that Honda was not shy to associate with the new L model. 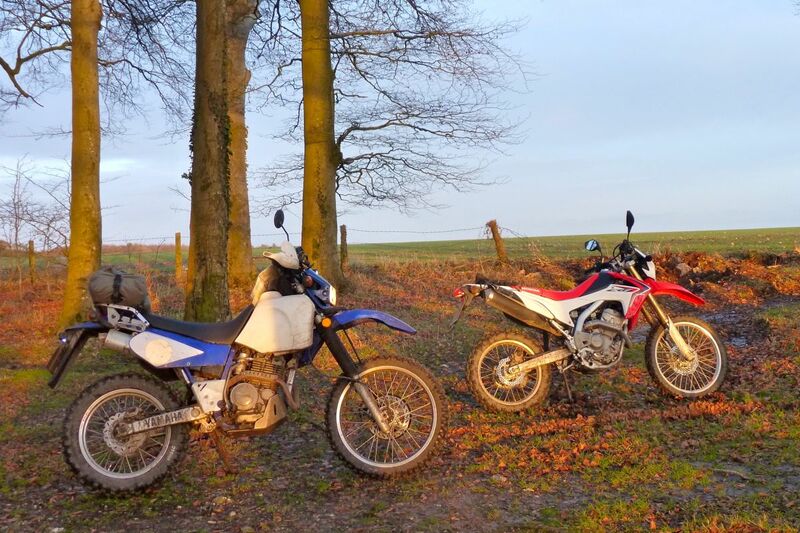 In fact the L is more of an upgrade to the old tech, 121-kg, 14hp CRF230L (below right) which isn’t far removed from ancient XL185/XR200s. The new model also runs a steel frame but takes a hefty motor derived from the CBR250RR sports bike (above right) while having the motor in the trail bike detuned some 20%. And although the resemblance with the X-racer is similar right down to the UPD Showas, the L actually weighs 144kg wet (138kg no fuel); 30 kilos more than a 250X and some 23kg more than a 230L. And the best bit is that in the UK it goes for £4000 on the road; and in the US from $5000 plus, (still $2000 less than an albeit higher spec’d Yamaha WR – see Comment link). In the US the 250L sits alongside Honda’s air-cooled 230 CRF and the positively ossified XR650L which we used for Desert Riders in 2003. The early 80s on the Ridgeway. 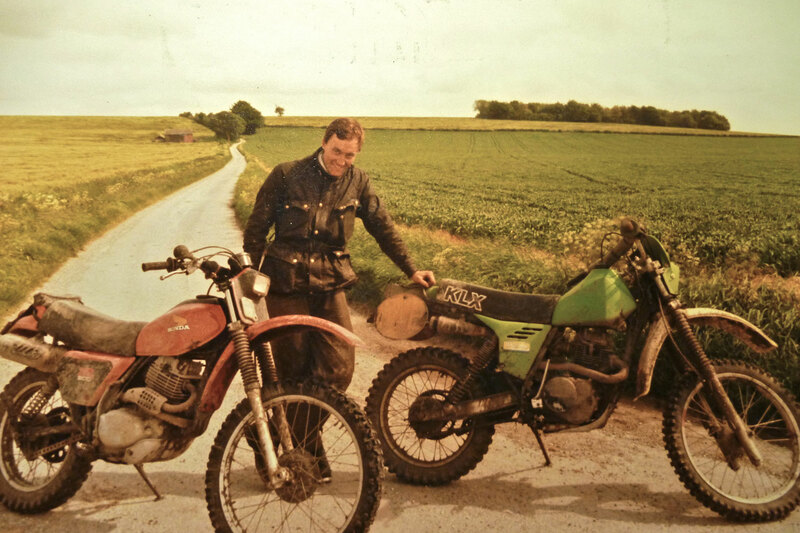 The last 250 trail bike I recall owning was a KLX (right) in the early 80s – the original ‘sheep in wolf’s clothing’ which proved that slapping a lame 250 engine into a snazzy-looking KDX-derived chassis made nothing more than an over-sprung slug. I recall a Welsh moorland enduro; Maicos flew overhead and by the time I came in off the last lap they were already packing up and going home. 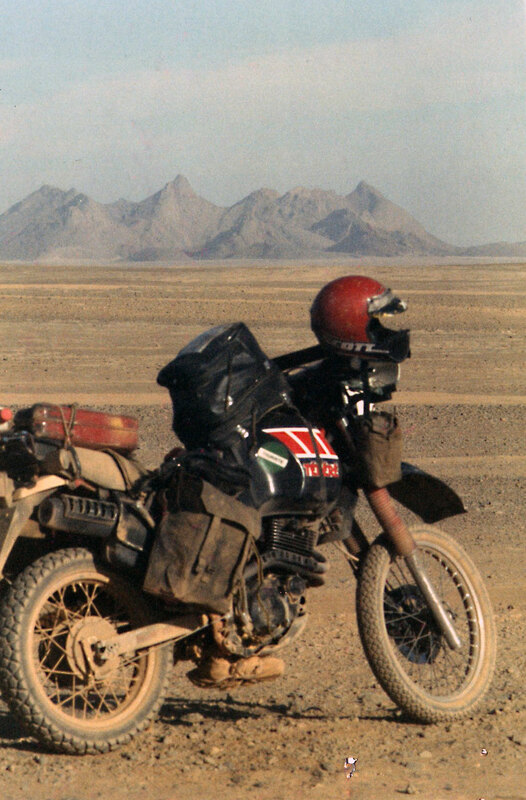 A couple of years later I picked up a DR250 in Australia before I moved onto bigger-engined Teneres for desert travels. But with support and therefor no need to carry a huge load, could a modern FI 250 trail bike make an adequate and responsive desert bike? Or would I feel like I was sat on a skimpy, revvy-engined trailie more suited to less girthsome riders? Exercise PASHTUN DAWN will continue during the first week of February with communications and logistic assets working on the training area. [There will be] major armoured … and artillery live firing exercises across the whole Plain… the public are asked to stay well away. That was the link that Robin sent me the night before our meet in Andover. 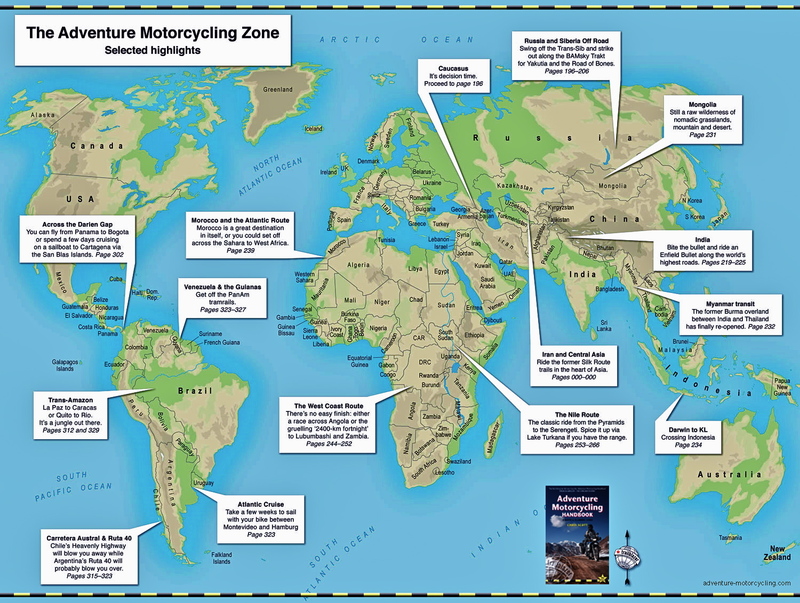 Oh dear – not a time to riding around the Plain then; you forget there’s a war on. 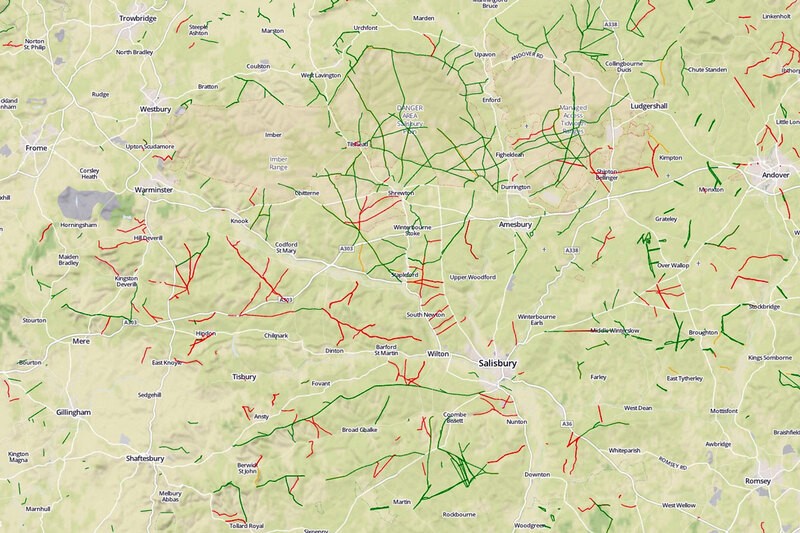 I may have missed the MoD newsletter but at least I’d found bywaymap.com (right) which showed the unusually dense network of off road trails strung right across Wiltshire and not just Salisbury Plain. Collecting the near-new bike from Honda in Slough, first impressions were relief that it wasn’t annoyingly high; I could get feet flat on the ground. And after a while I was also pleased it didn’t necessarily need its neck wrung to make progress through traffic. 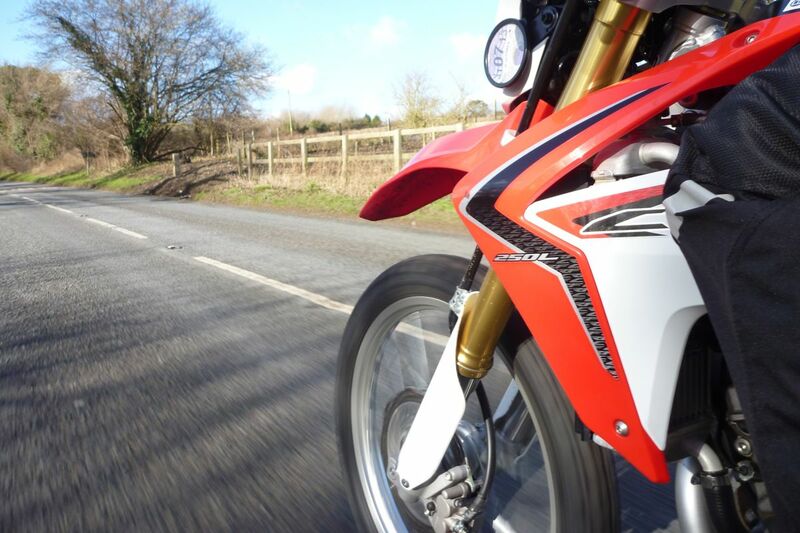 Sat on the mostly flat M3 motorway at an indicated 65mph the CRF felt planted and with enough poke to pass lorries without risking getting splatted on the windshield of a fast moving car coming up from behind. A hill, a load and a stiff headwind might change all that, and the skimpy bike’s exposure to the wind blast meant that to keep upright I slid back (that annoying seat strap needs to go…) and hung on – not very sustainable. The digital dash (right) covers what you need to know: odometre, 2 trip metres, clock, speed read-out and fuel level, but something like a TrailTech Vapor would do well here. Meddling with the two function buttons allowed me to reset the trips and switch from mph to kph, though without RTFM I couldn’t work out how to correct the clock. Providing you’re not lugging in the wrong gear there was no vibration to speak of. Little 250 singles don’t hammer like a bigger 600+, something which I’m sure helped the seat feel better than it looked. The IRC GP21/22 tyres – a notch up in knobbliness from my K60s – felt secure on the roads too. Other impressions: brakes felt well matched for the bike’s weight and power, suspension felt reassuringly firm though it’s doubtless far less flash or adjustable than whatever’s on a CRF-X/R; fuelling was pretty flawless with only a couple of cut-outs in the lanes which may have been water related. 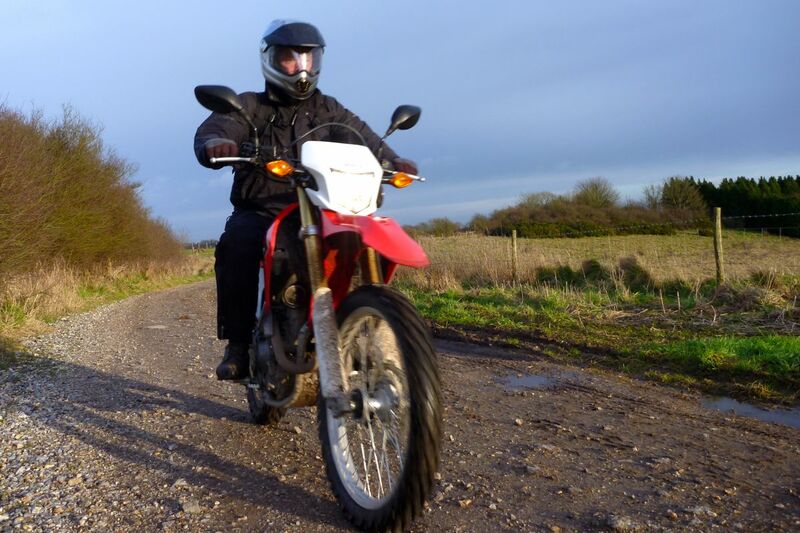 And like I said the bike has a low seat (right) which greatly boosts confidence as you slither towards a muddy rut or even just want to get off. 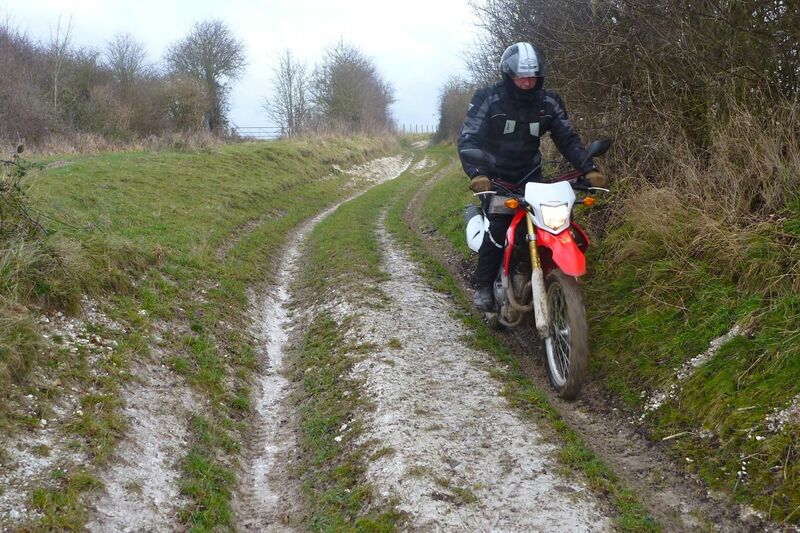 Robin’s TTR had been lowered and had an alternative seat, but for me was still a pain to swing a leg over. As for the engine and gearbox, well of course the acceleration won’t give you a dizzy spell, but it gets up to speed and holds it without the impression of ragging the engine, just as long as you’re in the right gear. 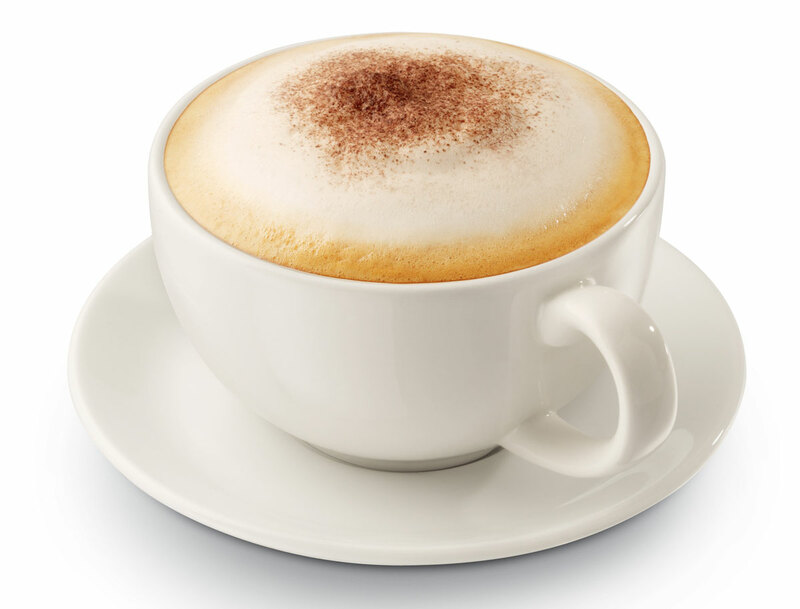 And without too much load, clutchless up-changes were as clunk-free as stirring a creamy cappuccino. Two hours after setting off, we managed to evade the harassment of traffic wardens and other municipal jobsworths in Andover long enough to text each other, meet up and head out to a warm country pub for lunch. That done, we scooted on to Salisbury where I noted the TTR was keeping up with the CRF rather effortlessly. I guess Robin’s 315cc upgrade balances out the years. The Honda is said to make 18hp at the wheel with 10.7 compression, but it’s how it responds that counts. Owners in the US are doubtless adapting air filters, swapping pipes and tuning the ECU, but for the long road I’d be tempted to leave it largely standard to improve longevity and cool running. 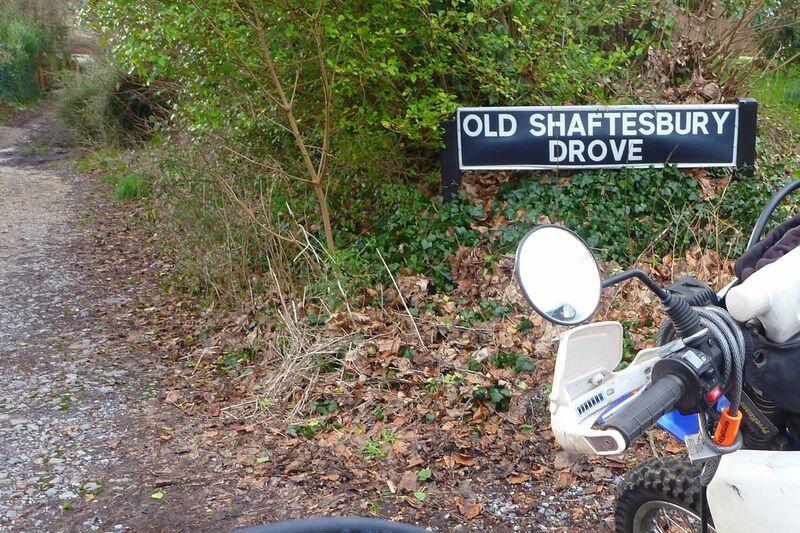 Robin had marked-up 25k OS maps plus had a worthwhile OSM map in his Garmin and so managed to pinpoint the street on the south side of Salisbury where the encouragingly long Old Shaftesbury Drove ran west for a good 15-20 miles, one of the longest byways around. Better still, on arrival there was no ‘no motor vehicles’ sign with adjacent CCTV and tripwires. 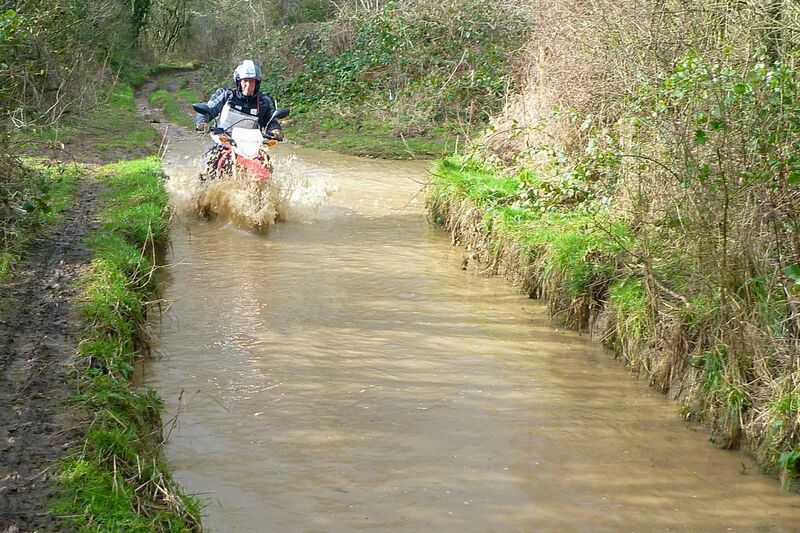 In congested southern UK I’d pretty much given up on green laning years ago. Running a stiff Michelin Race rear, Robin dropped his tyre pressures while I decided to keep the Honda’s IRCs at whatever they were and see how I managed. It’s good to have something in reserve if things get very slick. The initial grassy, rutted path would have been hard to ride all day but at the right speed the CRF managed fine and did so all day and the next. 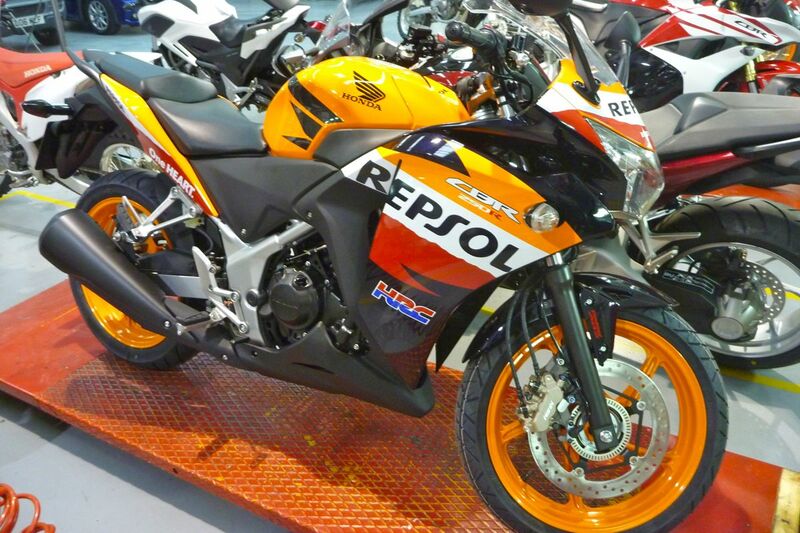 The key has to be light weight with a low seat, but also modest power and of course speed. I could imagine with a typical 600 single the power pulses alone would be that much harder to control as the bike ran on. 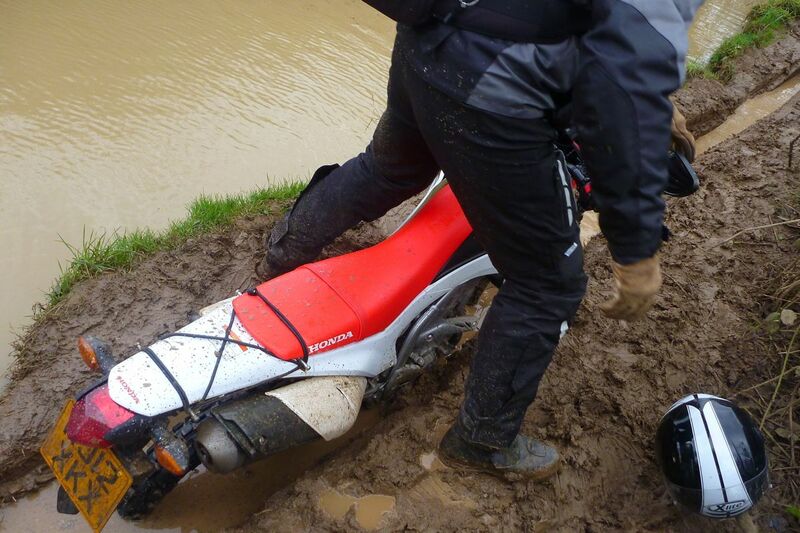 Not so the CRF – it was nearly as easy as riding an MTB and I never got close to getting out of shape or falling off. The Old Drove soon grew into an easy wide track, passing a racecourse on Warren Down overlooking the nearby city and its famous cathedral spire. 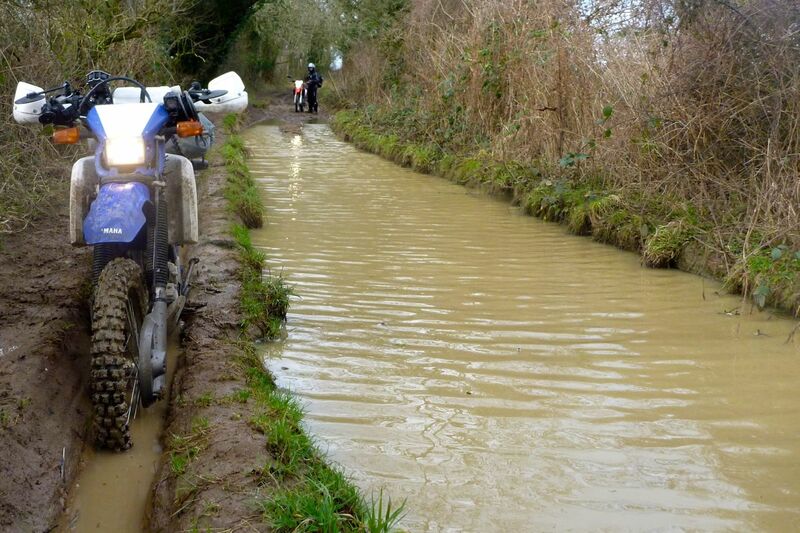 Occasionally puddles and churned up ruts would require some thought, but both the TTR and the Honda chugged on through. I couldn’t get over how easy it was. 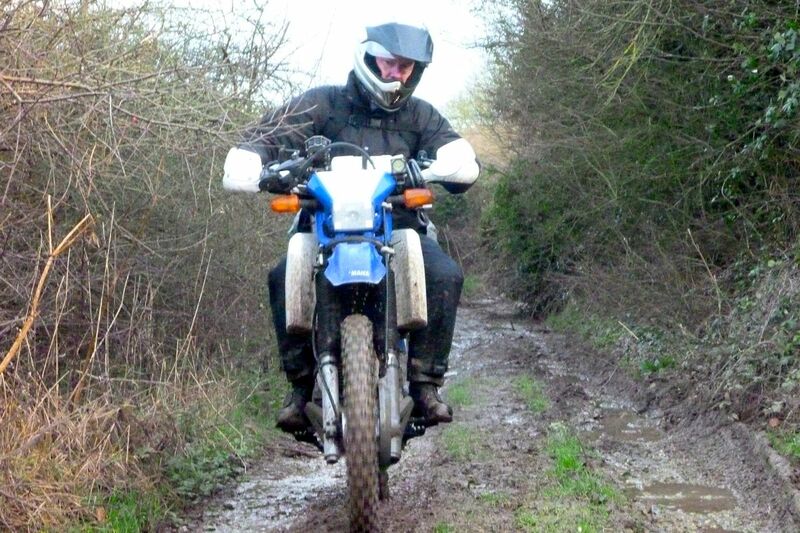 People are complaining about the weight for a skimpy 250 trail bike (my original trans-Sahara Tenere – right – was weighed about the same with the same fuel load, iirc), but it just wasn’t noticeable to me – perhaps it’s the relatively low centre of gravity (aka: short suspension). 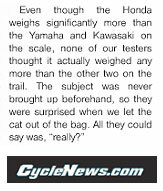 And as on the 660Z Tenere if that mass adds up to a tough frame and general robustness then so much the better. After a couple of crossroads we came up against a voluntary byway closure sign. Not knowing that it was in fact an optional request to limit erosion to part-flooded tracks, we spun off south looking for alternatives. Whenever we stopped to check the map we could hear the booms and thuds of live rounds detonating on the Plain a few miles to the north. The Pashtuns were getting it in the neck. We prodded at a few more byways but one after another they were all closed and by now the sun was getting low. 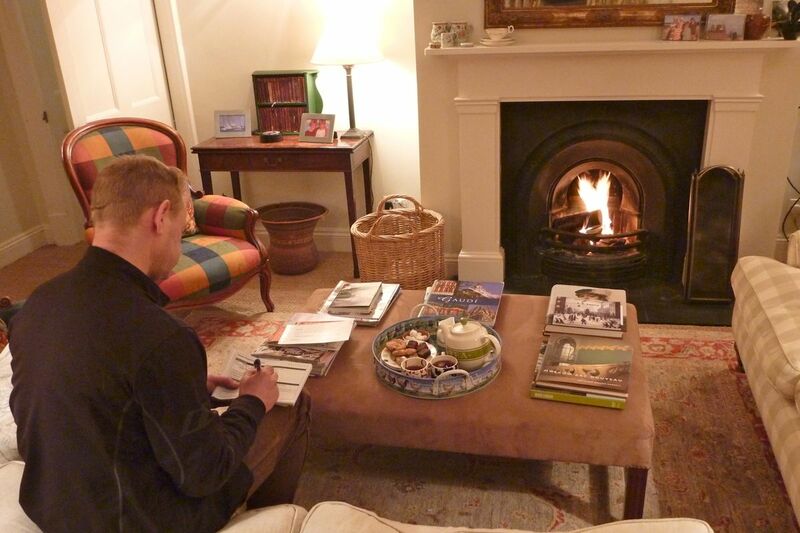 Time to find a cosy inn or B&B. Round here all you have to do is ride through a village or two to find a something like that and sure enough the shop in Compton Bisset pointed us to a perfect place just up the road. Soon we were shacked up by an open fire and pouring a brew. Next day we had a longer than expected chat with the land lady over breakfast. She happened to know both my former and current publishers, and sadly was also due at a funeral of another acquaintance who’d been killed at the In Amenas gas plant a few weeks earlier. I’d been in the Algerian Sahara during the siege and had passed through In Amenas many times over the years. A byway led right out of Compton where like in much of the area, the roadside streams were close to spilling over and many fields were flooded. That lane too was signed off and down the road so was the next, but the one opposite wasn’t so we slipped and slid over Rockbourne Down to another quaint, thatched village. If nothing else, tooling around the back lanes of Wiltshire wasn’t so bad – as pretty as adjacent Dorset but much less visited. Normally Wiltshire passes in a blur either side of the A303 as I belt further west. But what we needed was a bit more byway action and finally we clocked a muddy lane with no closure signs and set off to see how far we’d get. This one soon got pretty waterlogged and after a while we came to a long water-filled trench alongside which ran a single moto-sized rut (right). Prodding the main channel with a stick proved the water would probably reach the tank once we’d spun ourselves down into the silt. Neither was keen to do try it, but the bike slot alongside was clearly was doable. Or so we thought. 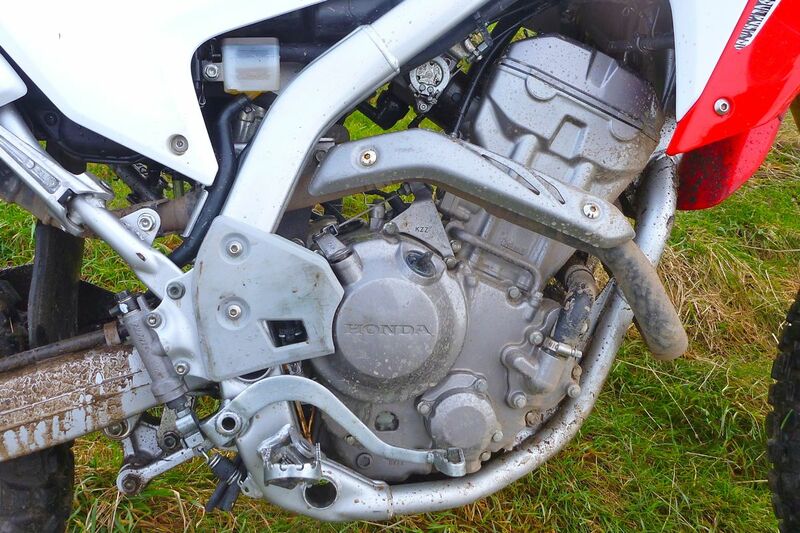 In fact that slot had been spun so deep by passing bikes that the TTR got jammed into the rut by its foot pegs. Robin laboriously lifted each end over the tight spot, observing how easy it was to manhandle our bikes. Add another 50 kilos, 30°C and a set of alloy panniers astride a 650 bogged down in some equatorial morass and it’s all much less of a lark. Having seen where the TTR got jammed, I thought with a bit more momentum and judicious bar hauling I’d slide the Honda through, but I didn’t even get close before I too was uselessly spraying crap all over my back with the CRF firmly nailed by its pegs. A bit of synchronised wheel lifting soon saw us on the way to the next puddle which led to a fast A road leading back to Salisbury for a refuel (69mpg), coffee and a jet wash before blasting back up to Slough. If you can cruise at a real world 65mph and tackle any reasonable off-road trail, it makes you wonder if a bike like this could indeed be a contender as a lightweight, load-carrying overlander – and not just for short people. Robin obviously thinks so and had invested a lot in optimising his TTR, but his cleverly refined minimalism might a bit more than most could endure. At 6′ 1″ I didn’t feel too cramped nor vulnerably underpowered on the motorway and only the unexceptional mpg (and therefore feeble range on the tiny 7.8-litre tank) was a disappointment. Assuming that was an aberration that might pass or be tuned out, all this bike would need is more of a bashplate to protect the engine sides, hand guards, a tail rack and a windscreen. I’d need some 2-inch bar risers too. Most of all though, at just 7.83L or 2.07 US gallons, it needs a bigger tank or more fuel capacity. 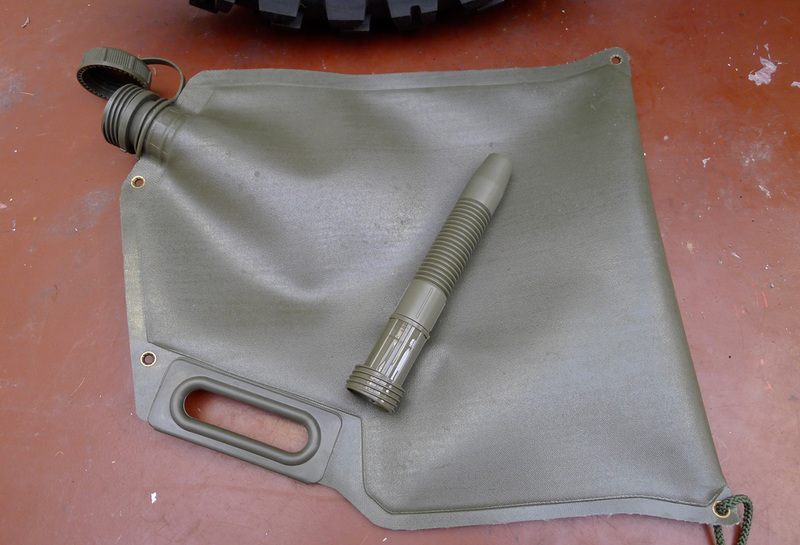 At $300 an aftermarket IMS tank adds only 3.33L or 42.5% more capacity, totalling 2.95US/11.16L/2.45gal Imp. For the equivalent of about £180 not sure that’s worth it. I’d sooner get a 7-litre Liquid Containment bladder (as pictured in the book and left ) for about £70 in Ozzie of a ten-dollar 5L fuel can. At my mpg readings I’d have a range of just 111 miles (180km) and even at a more normal 85mpg that’s still only 225km or 140 miles (This guy is averaging 78US or 94mpg). Another 5 litres capacity would boost the range to nearer 400km (at optimal mpg figures). There’s plenty of room where the unused front ‘tongue’ of the seat goes, or with extended rad scoops as on the XR tank fitted on Robin’s TTR which would also protect the ever-vulnerable radiator. I didn’t get the chance to have a closer took at the bolt-on subframe which is rated as ‘rider, passenger + 5kg’. That ought to be enough to carry a load when solo riding and being steel and detachable, modifying it wouldn’t be so hard, though perhaps not to carry a set of full size Metal Mules. To me all this complaining about the weight misses the point – it feels light to ride and light to lift and doubtless light to pick up too. Robin’s modified TTR weighed the same. An alloy framed 250X may be a whole lot lighter and better sprung but needs a head job every 100 hours while a 250L needs servicing every 8000 miles. None of the above adaptions are hard to do. Me, I think I’d try and get used to living with 18hp and get over not being able to dig up the turf or wheelie at will. 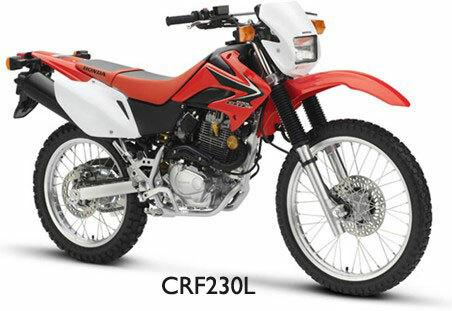 There’s talk of people waiting for a 450 version, because there’s a CRF250X and a 450X. Those are similar looking but quite different bikes. Back at Honda I asked the guy if there was indeed a bigger version in the works; they might bring out a 300 to match Kawasaki’s KLX300 he said, though that’s been out for years so has hardly caught Honda by surprise. But then again, seeing as trailing CRFs include a 150, 230 and now a 250, maybe a 300 might be the next step. 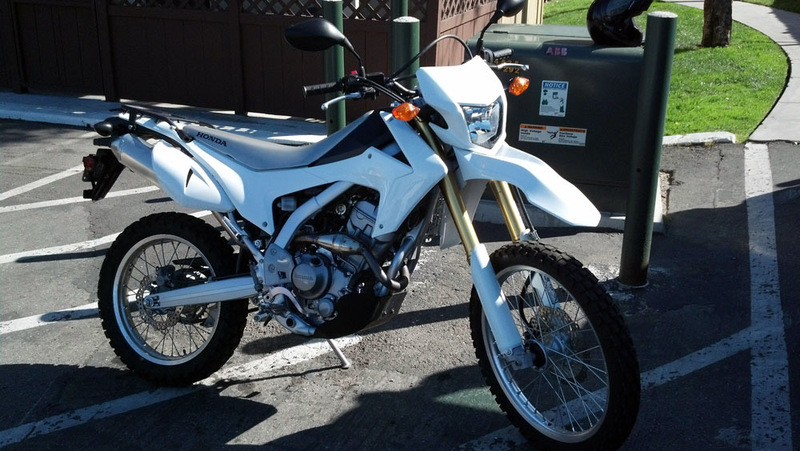 Depending on how my desert tours develop, I might be getting a CRF in a few months. I just bought a used and functionally accessorised 250L in California for a two-month ride around the Southwest. More news on the latest AMH Project bike here. 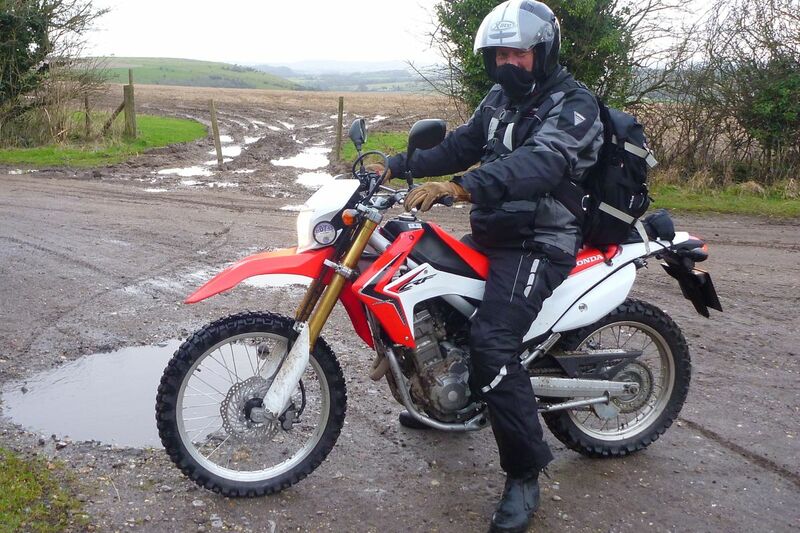 This entry was posted in Adventure Motorcycling Gear Reviews, AMH News, Project Bikes and tagged bywaymap.com, CRF230L, CRF250X, Honda CRF250L review, Imp/US/kpl fuel conversion table, Liquid Containment, Old Shaftesbury Drove, PASHTUN DAWN, salisbury plain, TTR250R, wiltshire green lanes. Bookmark the permalink. I am going to be embarking on a journey from Birmingham (UK) to Tokyo (Japan) following the Arctic Circle through Siberia in a 7.5T Ex-German military Mercedes Unimog truck and need to take a bike with me in case of trouble with the vehicle and to have a bit of fun on whilst on the way. I have considered this bike and after reading your review I will definitely give it some serious thought. Language skills? 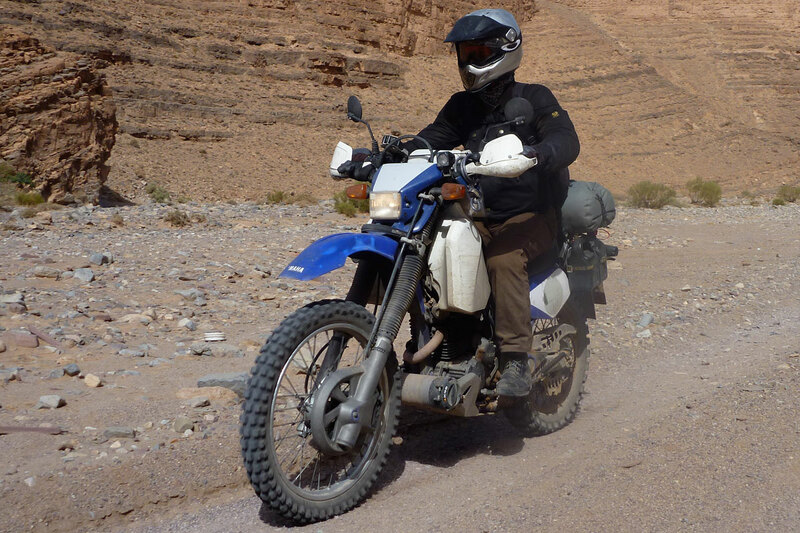 Yup sadly, Yamaha Brasil have decided to keep the 250cc Ténéré all to themselves. They really need someone well-respected in the Overland community to give them the hint to bring it into Europe. 117kg, and 15HP, perhaps a little too little for some, but you get a comfortable seat, a screen, handguards, rack, and bash-plate as standard.